MOSCOW (UrduPoint News / Sputnik - 17th April, 2019) As many as 189 people were killed and 816 more were injured since the beginning of Field Marshal Khalifa Haftar's Libyan National Army (LNA) offensive on Tripoli, which is controlled by the UN-backed Government of National Accord (GNA), the World Health Organization (WHO) said on Wednesday. "Conflict in #Tripoli, #Libya: 189 are dead and 816 are wounded. More than 18 000 people are displaced. WHO & health partners are coordinating mobile medical teams that are going to centres for displaced people and treating the sick," the WHO in Libya tweeted. The WHO reported on Monday that at least 147 people were killed in clashes between the LNA and the GNA since early April, while 614 others were wounded. The clashes in Libya erupted on April 4, when Haftar ordered his troops to advance on the Libyan capital of Tripoli to free it from what he called terrorists. As a result, LNA gained control over the cities of Surman and Garyan located near Tripoli. 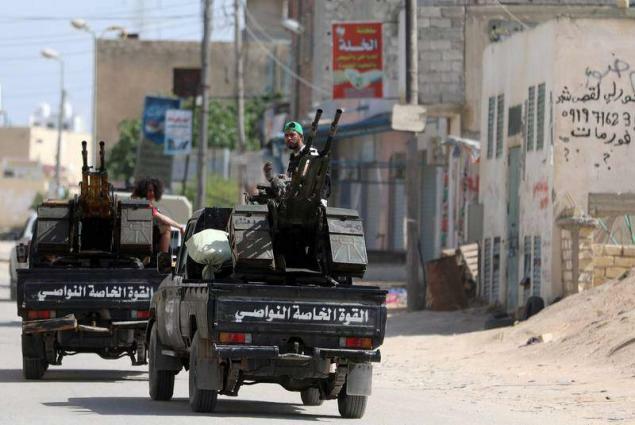 On April 7, the GNA announced a counteroffensive, dubbed Volcano of Rage, to confront the LNA. Libya has been suffering from unrest since 2011, when its long-time leader Muammar Gaddafi was overthrown and killed. Since then the country has been split between two rival governments, with an elected parliament, supported by Haftar's army, governing the country's east and the UN- and EU-backed GNA ruling the west from Tripoli.